I've not really written about GlaxoSmithKline's infamous paroxetine (Paxil) Study 329, except to briefly allude to it in a previous post. This is probably because I felt others had covered it so extensively already, especially over at the 1boringoldman blog. Another anonymous child psychiatrist has an entire website summarizing the study, and there's even a detailed wikipedia page. So go to those sites if you haven't heard of this study before. However, I wanted to write this post to share my thoughts about the re-analysis of the study's data by an independent, mostly-international team, which was accepted for publication in the BMJ. If it's been covered in a textbook published in 2010, you can be sure it's pretty common knowledge by now. In this regard, the profession has been self-correcting. 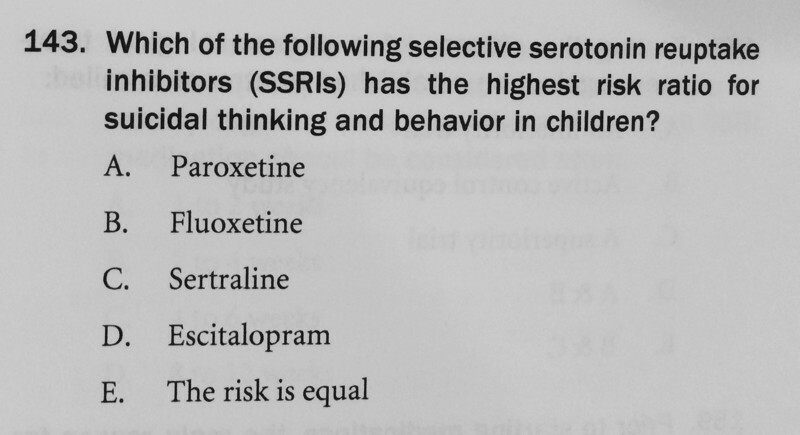 However, it seems that despite acknowledging the risks of paroxetine, the profession has turned a blind eye toward the actions of the psychiatrists who had helped popularize its use in kids in the first place. None of the well-known academics whose names are attached to the study have offered to retract the paper, and as far as I know, none have suffered professionally. In fact, one of them, Karen Dineen Wagner, was just elected president of the American Academy of Child and Adolescent Psychiatry (AACAP). 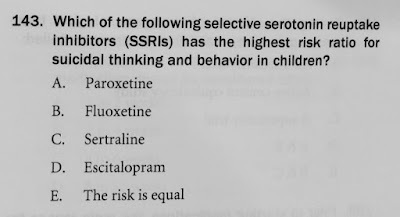 There have been efforts to address this issue within AACAP, most notably by 2 regional child psychiatry organizations, including the Northern California Regional Organization of Child and Adolescent Psychiatry (NCROCAP). Dr. Mickey Nardo, the brains behind 1boringoldman.com and one of the authors of the Study 329 re-write, informed the AACAP Ethics Committee about the study's faults, and they initially seemed receptive. * However, those efforts went nowhere. At a recent AACAP annual meeting, I was chatting with an older child psychiatrist, who is a "Distinguished Fellow" of the organization and has been involved in AACAP affairs for decades. Somehow, the topic of NCROCAP came up. When I commented that they seemed to be an activist bunch, he replied, "Yes, probably too much so, which is not good for the group process." Well, now we see the outcomes of this "group process." By prioritizing group harmony over doing the right thing, AACAP has invited outside intervention. This BMJ editorial accompanying the new publication, by Peter Doshi, is one of the most damning things I've ever read about institutional intransigence. * It'll be interesting to see how the organization reacts. This week, The BMJ published a study, “Restoring Study 329: efficacy and harms of paroxetine and imipramine in treatment of major depression in adolescence,” which reanalyzes data from a clinical trial performed in the late 1990s and published in JAACAP in 2001. The conclusions of this article contradict those of the original study. Please know that the Academy has been fully aware of the pending publication of this article by The BMJ. Research provides the foundation for child and adolescent psychiatry’s knowledge base. The Academy encourages rigorous scientific design and methodology and supports the highest ethical and professional standards. We also believe it is essential that research be conducted within a strong framework of transparency and disclosure. As an organization, AACAP has been a leader in advocating for the positive changes that have taken place in the last decade in the relationship between the pharmaceutical industry and academic and professional associations. AACAP has the utmost respect for the The BMJ and we thank them for their continued efforts to further scientific knowledge and understanding. AACAP supports transparency in clinical trial reporting and welcomes the RIAT initiative, which enables publicly available primary data to be reanalyzed and published as new, potentially revised reports. JAACAP is a forum for scientific reporting and scholarly discussion. The scientific process builds on itself over time through a cycle of new research, analysis, and ongoing dialog. This process stimulates debate and moves the field forward toward a better understanding of critical issues. As with most medical journals, JAACAP operates with full editorial independence. AACAP does not influence or direct decisions regarding specific publications. Furthermore, the statements and opinions expressed in JAACAP articles are those of the authors, and not necessarily those of AACAP, the editors, or the publisher. Inquiries about the articles and study in question should be addressed to their respective authors. Moving forward, we will continue to monitor any developments and keep the membership informed of relevant information as it becomes available. Please direct any questions to the Communications Department via email at communications@aacap.org. Like I said, this is gonna be interesting. * These sentences were added/edited after original publication for completeness.